Most people don't give their garage door a lot of thought, but when they stop working correctly, it can be very frustrating to try and enter or leave your garage. If you wish to avoid future problems, our routine maintenance service will ensure that your system stays optimal for as long as it possibly can. If your door is acting up, we can also quickly identify the problem and make any necessary repairs. Sometimes door problems can be easily avoided with proper lubrication. During our maintenance routine, we'll apply a high-quality lubricant to your springs, rollers, tracks, hinges, and every other moving part that requires it. In addition, we'll check to make sure your springs aren't rusty or damaged. If they are, we'll replace them on the spot. 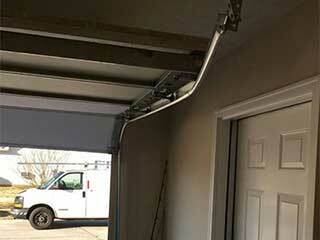 Sometimes the weather-stripping can get jammed against the side of your garage door as it opens and closes. To prevent this from happening, we will inspect your seals for damages replace any section that has become too worn to adequately protect your garage. The last thing you want is for rodents and other small animals to find their way into your garage, and our maintenance service can help prevent that by ensuring your weather seals stay in a perfect condition. During our routine maintenance visits, our technicians will examine your garage door closely for any damages and underlying problems that could be potentially dangerous for you and your family members down the line. For example, we provide safety sensor and safety cable testing and can readjust the tension of your springs if needed. If your door hasn't been given any TLC for a while, it's time to call our experts at Garage Door Repair Oakdale – we want your door to last as long as it can.